The average price for this game in the past 6 months is $17.56. The game first became 50% off on Jun 21, 2016 at DLGamer. Lowest historic price was $12.99 on Oct 10, 2018 at DLGamer. Why fork over $19 at Steam Store for the same exact game? If you want to finally give Dying Light a try - the complete edition in the form of The Following Enhanced Edition is the way to go. $16.83 at GMG make sure you use the 15% off coupon code. New historic low price on Dying Light: The Following thanks to a 78% off sale at DLGamer. The game isn't my cup of tea - but it's also a fun title for all those that enjoys an open-world zombie RPG romp. Almost ties the lowest price on Dying Light: The Following Enhanced Edition at only $15. One of Techland's finest title in recent years, this bundle comes with Dying Light Enhanced, The Following DLC, Season Pass, and more. Lowest ever price Dying Light The Following Enhanced Edition is well-time Summer Sale deal for those interested in picking up Dying Light 2 later in the future. Beats previous low by another 7%. Almost enough for some Fortnite V-Bucks. Dying Light The Following Enhanced Edition just gets cheaper and cheaper. If you're mulling about giving Dying Light 2 a try in the future due to recent E3 hype, we highly recommend springing the $16 for the Steam copy of the first installment. New historic low price. The average price for this game in the past 6 months is $12.99. The game first became 50% off on Jul 19, 2015 at Best Buy. Lowest historic price was $9.99 on Feb 27, 2018 at PlayStation Store. GameStop yanks down the price on Dying Light for all platforms. Xbox One, PS4, and PC (physical copy only) all $29.99 which ties its all time low. The average price for this game in the past 6 months is $14.27. The game first became 50% off on Oct 30, 2015 at FunStock Digital. Lowest historic price was $11.99 on Dec 25, 2018 at Fanatical. Don't want to pick up Dying Light The Following Enhanced Edition because you're not really interested in the additional content? Standard Edition of the game is now at a new historic low. Techland's popular parkour zombie romp is well worth checking out at this price. Dying Light PC Download knocked down to a mere $15 today at GameStop new low for the January 2015 release by $5. An appropriate time of year for a discount GameStop. Dying Light on PC half price today at Games Republic. Deal valid through Monday, February 29th. Dying Light + Be The Zombie DLC down to a mere $22.20 today at DLGamer. Just over a buck off its all time low. Best price seen in about 2 months. Dying Light is finally near the $20 price tag via GMG's Black Friday weekend sale. Steam key. An overall decent game with great atmosphere. One of the rare 2015 games that have held its value through the year. Dying Light Bad Blood hits a new low price of only $16 at GMG this week. The standalone early access title is relatively popular among those familiar with Dying Light and wants it with a limited-scope, melee-focused battle royale spin. Steam key, includes "Founders Pack" which gives you legendary weapon skin, a pass for even more skins, and 1,000 worth of in-game currency. Not enough battle royale in your life? Sick of F2P peasants in Fortnite (hey its your words not ours)? Dying Light: Bad BLood - Techland's foray into the genre is receiving early rave with its incorpration of PvE elements. At only $20 list price, it's far cheaper than PUBG and with the discount at Razer Game Store the deal gets even better. The average price for this game since released is $23.86. The game first became 50% off on Nov 17, 2016 at Microsoft. Lowest historic price was $14.99 on Nov 22, 2017 at Microsoft. Dying Light: The Following expansion released today but unfortunately they're keeping a tight lid on any discounts. 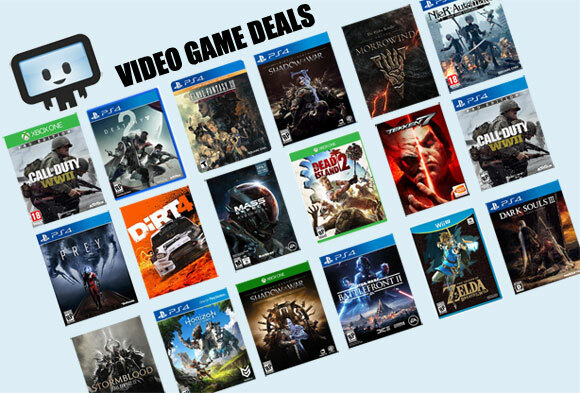 The only deals you'l see are if you're a paid member of Gamers Club Unlocked at Best Buy or Amazon Prime for a deal only on the full game + The Following expansion. Not bad if you're buying Dying Light for the first time, but if you just need the new expansion deals are hard to come by. Note: Sign in or create an account then add to basket to see the final discount price. The average price for this game in the past 6 months is $9.34. The game first became 50% off on May 27, 2018 at Green Man Gaming. Lowest historic price was $7.67 on Jul 18, 2018 at Green Man Gaming. The average price for this game in the past 6 months is $14.99. The game first became 50% off on Jul 19, 2015 at Best Buy. Lowest historic price was $13.99 on Mar 6, 2018 at Microsoft. Dying Light pre-owned at GameStop right now $35 while GameFly is hitting an all new low today at $15. Cheapest ever by $3 on the PS4 and Xbox One. Used copies of Dying light on the Xbox One and PS4 down to $19.99 at GameFly. Still sells for $50 at most retailers and a pretty solid drop from the original $60 for a well received 2015 game. Dying Light for the PS4 and Xbox One releases laster this month on January 27th. A rare coupon discount is available at NewEgg dropping the price from $59.99 to $8. Deal good through next week Monday. The average price for this game since released is $28.66. The game first became 50% off on Jun 13, 2017 at . Lowest historic price was $14.99 on Feb 27, 2018 at PlayStation Store.